KEITH Hammant used to stand on a milk crate while wielding his pool cue as a nine-year-old. And now he’s renowned nationwide for making them – cues, that is, not milk crates. The 43-year-old from Henley-on-Thames also runs a cue sports accessories website, www.ukpool.com. In a bid to help grass-roots snooker, Hammant has agreed to sponsor the Cuestars South of England Seniors Tour championship at The Crucible Sports and Social Club, Newbury, on Sunday, April 29. He said: “My dad introduced me to pool when I was about nine and I used a milk crate to stand on. “I used to play snooker in my teenage years but as my family grew I had no time to practise. Ukpool.com supplies everything a pool or snooker player could ever need, from cues to balls and tips to chalk and tables to irons. 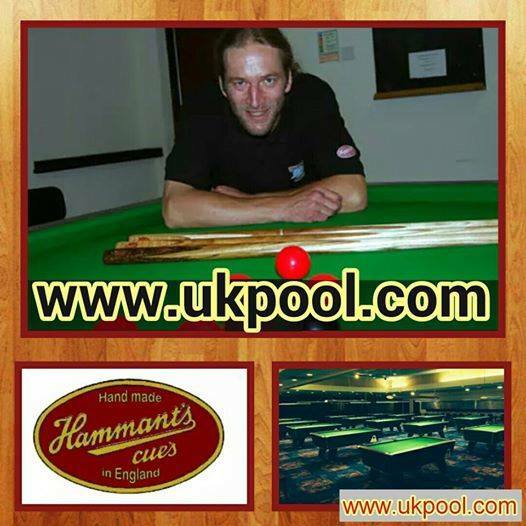 Hammant’s Cues is a well-established name on the UK’s pool circuits and one that the snooker world is becoming increasingly more aware of. As well as making cues to players’ specifications, Hammant is happy to take on most cue alterations, whether it be a new tip or a ferrule re-sizing or a quick polish or a full refurbishment. Hammant can be contacted by email, [email protected], or Facebook, www.facebook.com/keith.hammant.7.